How to have Fun, Shoot Better and Be Safe! This information is provided to our members solely as a service. The opinions expressed are not the official position of MRPC, its Board, Officers or Directors. Each member is encouraged to conduct their own study of these matters. This newsletter is open to all shooting related products, events and articles. We will shoot this Wednesday on the Camp White Range at 600 yards at 5 PM. 22 rounds or less prone or bench. Into the Rifle Range and Dragstrip! Going to your first match in any new shooting discipline is bound to be stressful. Here are a few of my recommendations to reduce the anxiety level, shoot better and have more fun. There’s nothing worse than rushing to get to a match. If you show up just in the nick of time—or even late—and are just getting set up while everyone else is ready to shoot, you’ll start the match with a stomach twisted in knots. 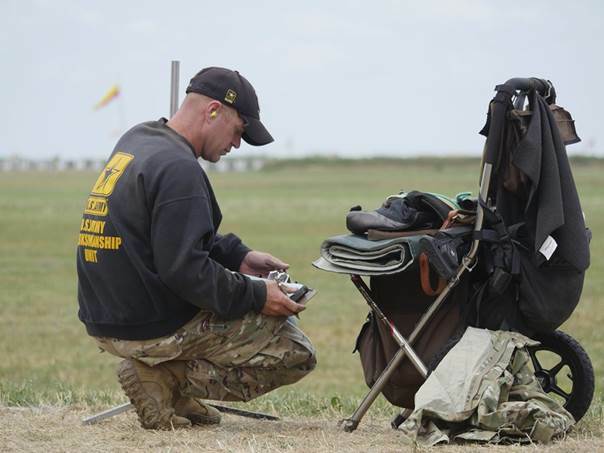 If you get to the match early, you’ll get registered, set up all your stuff and still have time to check out the range, watch the wind flags and focus on the task at hand. Shooting is fun, but half of the difficulty for anyone going to their first match of any kind is dealing with anxiety—the dread of the unknown, of doing poorly, of looking like a fool or of forgetting something important. Being prepared will help reduce anxiety. Make lists of what you need to do or bring. Take extra ammo, an extra scope, tools and whatever else to provide the comfort of feeling ready for anything. Being prepared also means not leaving things until the last moment (which relates to recommendation No. 1). Concentrate on each shot at the moment you’re shooting it. If you have a bad shot—and you will—don’t dwell on it. Learn from it—learn what you can do to make a better shot—but then let it go and focus on the shot you’re about to fire. Although you’re shooting for a score, you shouldn’t be thinking about that while you’re shooting. Worrying about how many points you’re way from shooting clean, or how far you are behind your shooting buddy will only take your focus away from the shot you’re about to take at that moment. Mr. James Fox placed 3rd in this event with a 397+25x. 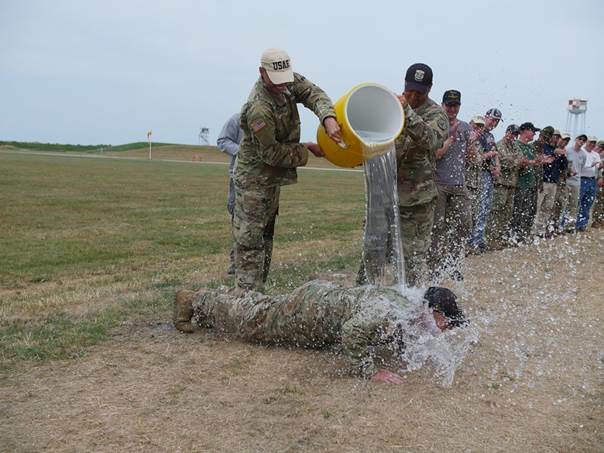 CAMP PERRY, Ohio – “Ain’t nothin’ gonna stop Brandon Green,” said one spectator after the President’s 100 Shootoff rifle match, smiling and shaking his head in disbelief. And, he was just about right. 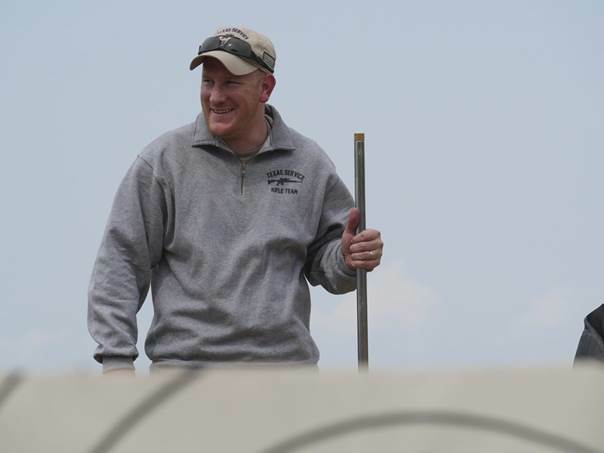 Brandon Green became the first competitor in history to clean the President’s Rifle Match course. The man was referring to SFC Brandon Green, a member of the Army Marksmanship Unit (AMU) and one of the most talented shots in the country. With a long and decorated career, Green has accumulated a collection of repeat wins and records at the national level that continues to grow just about every time he steps up to the firing line. Though he’s quickly approaching two decades as an athlete with the military Unit, he shows no signs of slowing down. 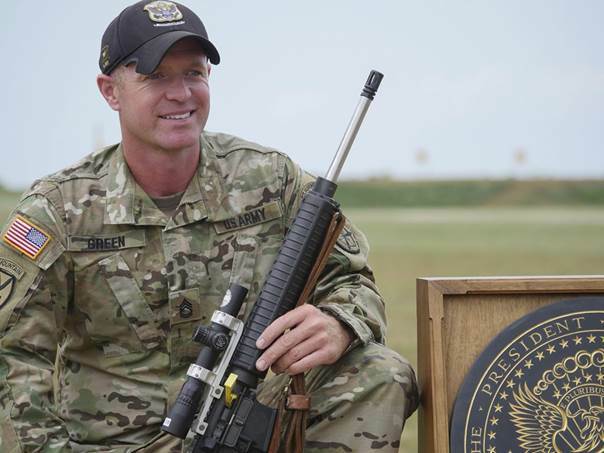 At the 2018 Civilian Marksmanship Program (CMP) National Trophy Rifle Matches, held at Camp Perry, Green not only overtook the prestigious President’s 100 match for the very first time in his career, but he also fired a new National Record as he cleared the course with a perfect score of 400-20x – something no other person has done in the century-plus history of the National Matches. Over his career, Green’s careful attention to range conditions has led him to multiple national-level wins. “I just wanted to do the best I could for the conditions. That was the main thing I was worried about, seeing the conditions and trying not to mess it up too bad,” he said with a smile. Unhappy with his technique the week before during the CMP Cup events, frustrated by missed shot calls and bad decisions, he entered the President’s 100 Match with a new game plan – knowing very well the mishaps that could occur on the notoriously unpredictable Camp Perry ranges. 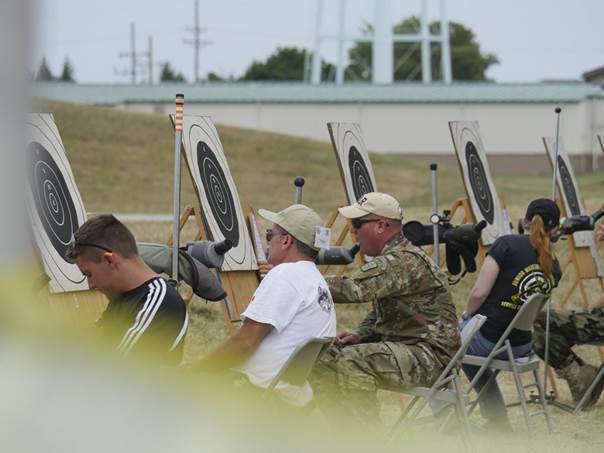 The President’s 100 Shootoff is a spectator-friendly event that draws a large crowd every year. 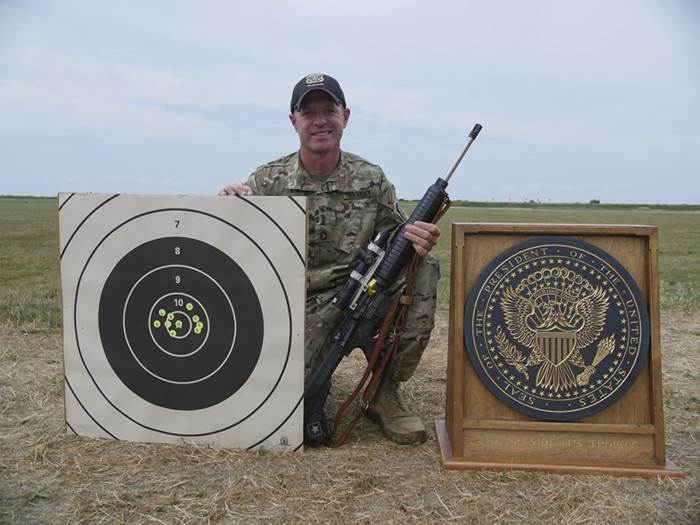 He took that mentality into the President’s 100 Shoot-off final, which places the Top 20 competitors of the match onto the firing line in a 600-yard, 10-shot prone match, where the winner takes all. He focused on taking clean, deep shots, concentrating hard on the sights and the trigger, trying desperately not to move. 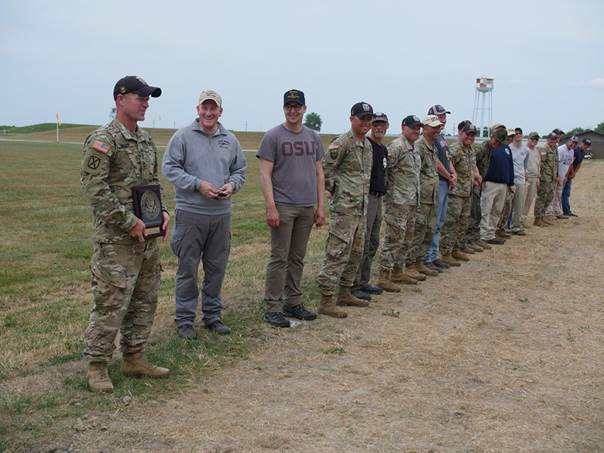 Green won the President’s 100 event for the first time in his marksmanship career. After nine shots of doing just that, it came down to his last. He loaded the round into his rifle, the same rifle he used during his record-breaking performance at last year’s National Matches, fixated his gaze downrange, held and pulled the trigger. “I knew it broke really well, it looked good during the shot process, so I figured it was going to come up pretty good. And then after the fact, I didn’t even realize it was going to be a record – that it was the first time anyone had shot it clean all the way across,” he said with surprise in his voice. “Yeah, I didn’t know it, so, ignorance is bliss,” he added as he laughed. Prior to his 15+ years with the AMU, the Louisiana native began his career on the Junior Reserve Officer Training Corps air rifle team out of Bogalusa High School. His successes there sparked the attention of the U.S. AMU out of Fort Benning, Ga., which immediately recruited him after graduation. 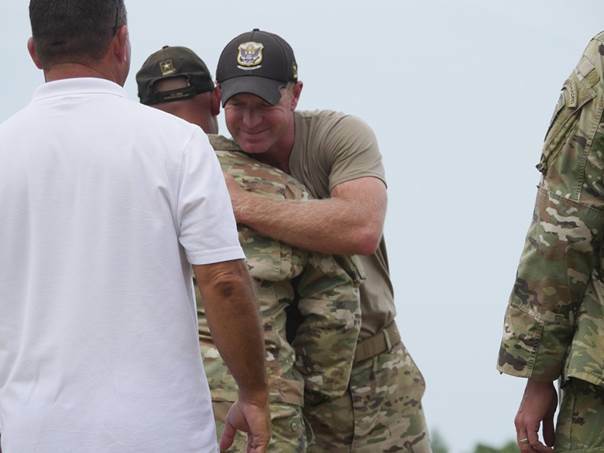 From there, the 33-year-old has made his name known across the country, earning several accolades including being named Soldier of the Year by the Military Marksmanship Association in 2014 and taking home the Mountain Man aggregate trophy (a composition of the most respected events) during the CMP National Matches for the first time that same year. At the National Matches in 2017, Green fired a new record score of 499-30x during the National Trophy Individual (NTI) event – one of the highest regarded competitions of the Matches. He went on to earn another Mountain Man title and a National Record score of 1293-69x. Though the 2017 National Matches was full of highs for the reputable marksman, it also dealt him one of the most disturbing blows of his career. Last year’s President’s winner, Justin Utley, placed second in the event and set a new National Record for the Alice Bull civilian trophy. During the President’s 100 Shoot-off, Green lost the lead he held going into the final by dropping three points – losing the win to Mineola, Texas, native Justin Utley. The loss was a disheartening jolt to Green, who was looking to clasp onto the President’s 100 match, which was his last untouched win of the National Matches. The two men were next to each other on the firing line during the Shoot-off again this year, adding a thrill and some unsettling reminders to the event for Green. But, this time, he was determined to create a different ending to the story. 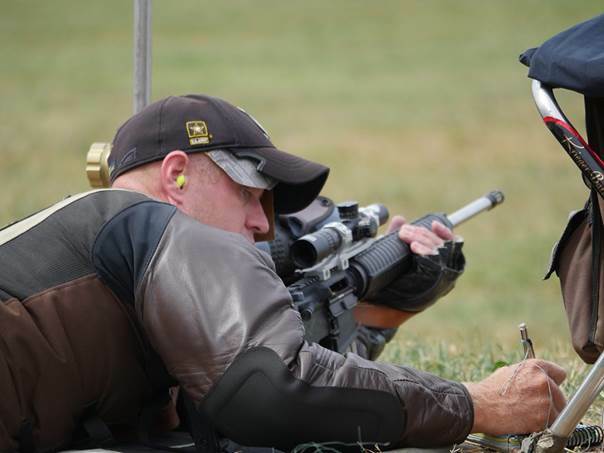 Along with the President’s rifle event, Green also wont the NTI and Mountain Man aggregate with the same rifle he used at last year’s Matches. This year, Green carefully planned each shot on the firing line. 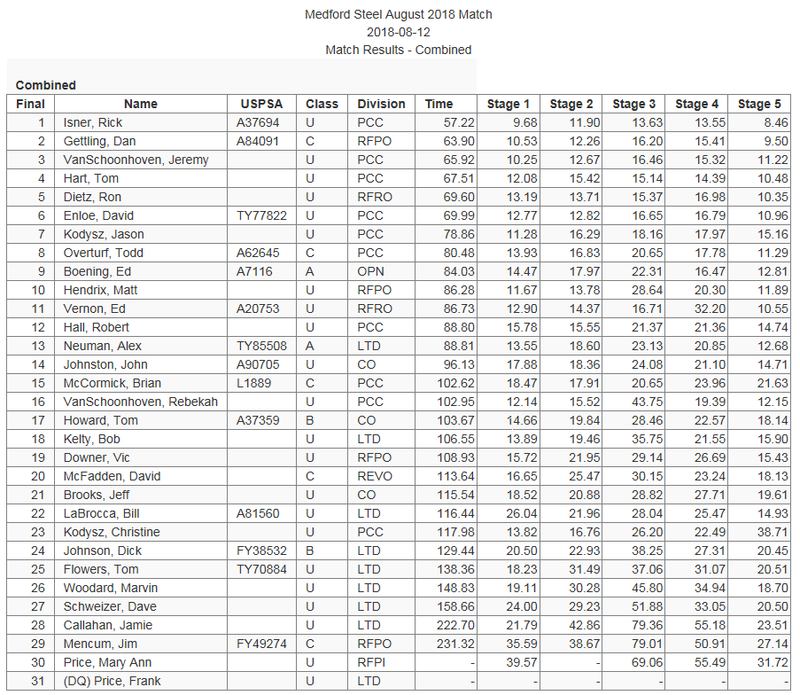 Utley landed in second place in the event, with an extremely respectable score of 398-24x. 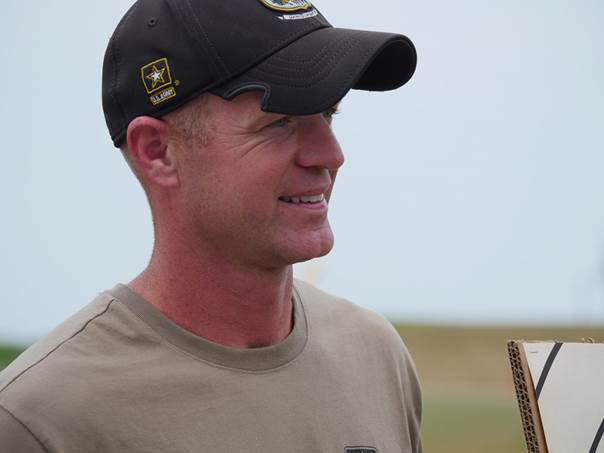 A powerful force on the firing line, Utley also had his own record-setting performances during the 2018 National Matches as his combined scores in the President’s 100 and NTI events earned him the Alice Bull trophy as high overall civilian, with a new National Record score of 793-38x. After Green’s win in the President’s Match, competitors and spectators – old and young – came up to him, one after another, taking pictures alongside him and shaking his hand. A celebrity in his own right in the competitive shooting realm, Green admits he has learned over the years how to stay humble and appreciate every compliment and every awe-struck fellow marksman that comes his way. Green’s teammates greeted him with a water bath, traditionally given to the winner of the President’s Match. After the crowd thinned, he pulled out his phone and sent a text to his biggest fan who was waiting patiently states away to hear how he fared in the match. Spectators, competitors and teammates congratulated Green after his history-making win. His sought after win in the President’s 100 Match finally placed a big checkmark on his personal list of accomplishments. Once that was achieved, he set his sights on the rest of the National Matches, hoping to keep his focus, stay on top of the conditions and maintain scores high enough to reach his next desired goal – another esteemed Mountain Man trophy. After the President’s 100 Match, Green went on to win the NTI event – narrowly missing his record score that he set last year by firing a 498-34x. Green squeaked past AMU teammate SSG David Bahten, who fired a score of 498-23x for second place. Green then teamed up with fellow AMU member SFC Shane Barnhart to reach a combined score of 590-24x in the Hearst Doubles team event to nab the win. His aggregate scores from the President’s 100, NTI and Hearst Doubles individual results landed him with his third Mountain Man trophy, the highest honor of the Matches, and another National Record – blowing past the record he set at last year’s National Matches by three points with 1296-83x. Course of Fire: A timed match with 5 sets of 5 targets, each shot at 5 times. Slowest time per stage deleted.